Rother Valley parkrun – 25 August 2018. The Trunce – 3 September 2018. Doncaster 10K – 25 Nov 2018. Bawtry forest – 9 September 2018. Ward Green 6 – 23 December 2018. Great event, 5 x 1000m loops. 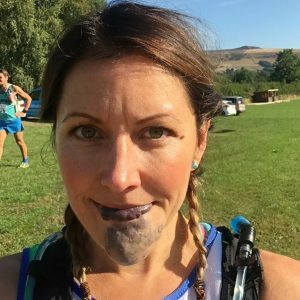 Jodi Savage wrote “An experienced fell and mountain marathon running friend of mine suggested I enter the Half Tour of Bradwell race which is a 16 mile fell race in Derbyshire (he was doing the full 32 mile version!). It seemed like a great challenge so I entered just a few weeks before and tried to get some miles in. Andrea Robinson kindly volunteered to do some hill reps up Cusworth hill with me as a bit of practice. The race starts at Bradwell and it was a lovely little gang of organisers who offered you tea and biscuits during registration. FRA rules state that full kit has to be carried including waterproof trousers and jacket, map and compass, buff or hat and gloves. Needless to say I carried it all the way round and didn’t need any of it! It’s a pretty challenging race with three big climbs totalling 2,825ft of ascent. I walked a lot of the uphill and tried to be brave running down the hills! 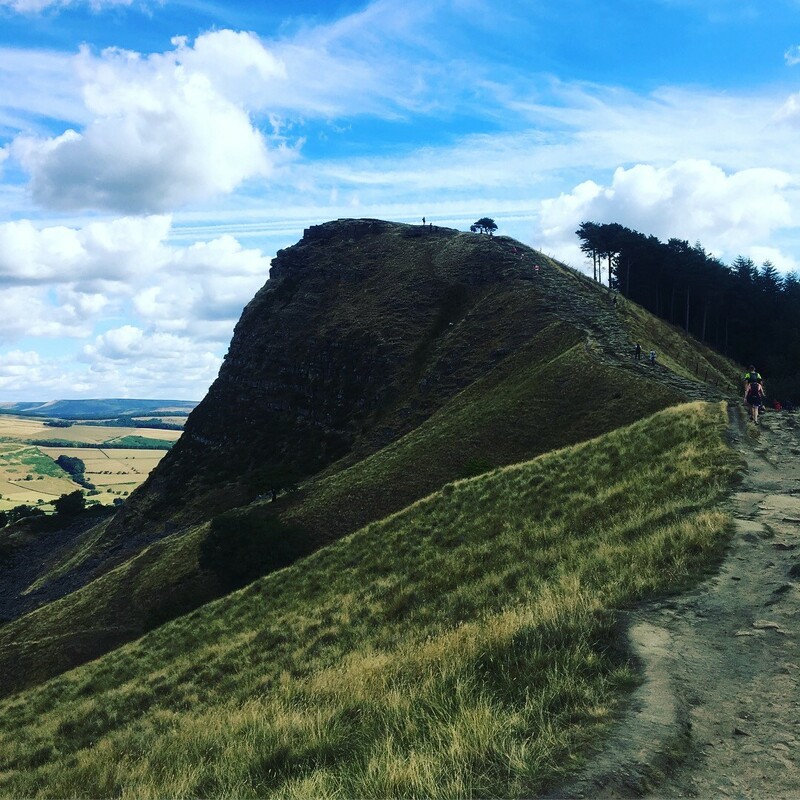 The route took you through Hope valley to Castleton, skirted Mam Tor, up to the summit of Lose Hill, up Win Hill then down the side of Ladybower and back to Bradwell. I was on my own for most of the race and had to consult the map a few times as the course is unmarked. Thankfully I didn’t have to use the compass! I felt like I was running on empty for the last 4 miles, probably due to not getting enough miles in during training and not being used to running up hills. I wanted to get under 4 hours and I did – just! 3hrs 53 mins. I was one of the last to finish but I was happy with the result given the terrain and the climbing. 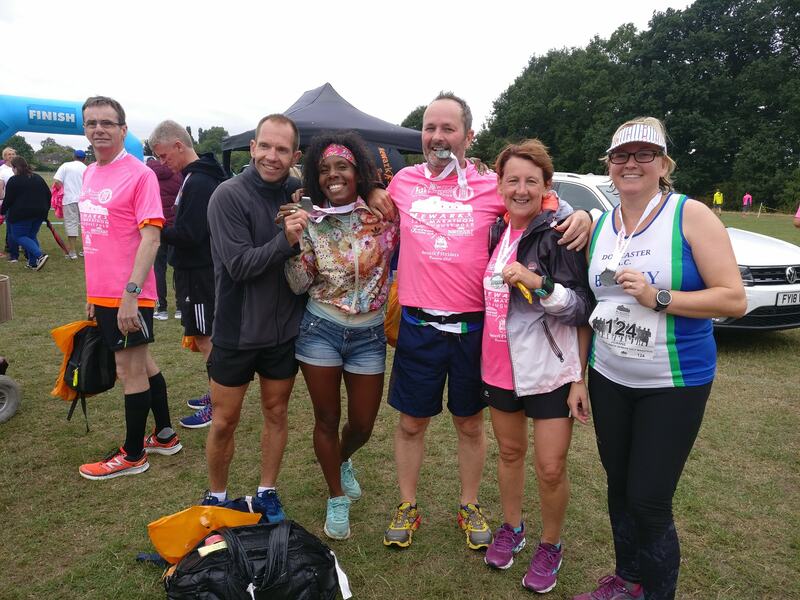 My friend said the 32 mile version was incredibly challenging and he found it tough – which made me feel better! PB’s for Kevin BRENNAN, George LAING, David WATTS, Daniel ORME, Jayne BERESFORD, Margaret BUTLER and Sandra SIMMONITE. First timers were Mick RILEY, Michael HAIR, Sharon WATERS, Donna RILEY, Christopher WATERS, Julie CULL, Bill TOPPING, Louise SHEERIN. At Doncaster the top 3 age grade finishers were Phil BUSSEY, Simon WRIGHT, Rhys GIBSON. The first 4 to finish were Rhys GIBSON, Daniel ORME, Joe PHILLIPS and Simon WRIGHT. Jayne BERESFORD was first DAC lady. Phil BUSSEY set a new V70 Record.